Assange, the 47-year-old Australian hacker, founded WikiLeaks in 2006 and has since made many high-profile leaks, exposing ‘dirty’ secrets of several individuals, political parties as well as government organisations across the world. 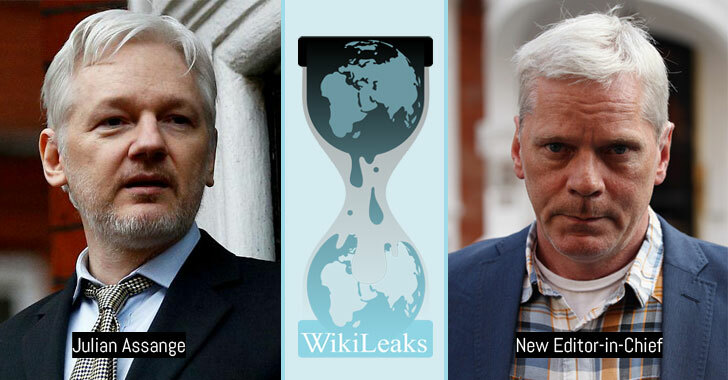 Assange will be replaced by former WikiLeaks spokesperson Kristinn Hrafnsson, who is an Icelandic investigative journalist and was selected for the ‘Icelandic journalist of the year 2010’ award for his work at WikiLeaks between 2009 and 2016. “Due to extraordinary circumstances where Julian Assange, the founder of WikiLeaks has been held incommunicado (except visits by his lawyers) for six months while arbitrarily detained in the Ecuadorian embassy, Mr. Assange has appointed Kristinn Hrafnsson Editor in Chief of WikiLeaks. Mr. Assange will continue to be the publisher of WikiLeaks,” the organisation said. Hrafnsson, 56, condemned the treatment of Assange in the Embassy, but he welcomed his new responsibility to “secure the continuation of the important work based on WikiLeaks ideals,” WikiLeaks quoted Hrafnsson as saying. This year has not been great for the WikiLeaks founder. Late in March, Internet access for Assange was removed after he breached an agreement set by the Ecuador government to refrain from interfering in other states’ affairs that could affect their relationship with other countries. In July, it was also reported that the newly-elected President of Ecuador visited London to finalize a deal with UK government to withdraw the country’s asylum protection of Assange—eventually turning him over to the UK where he is facing an arrest warrant after skipping a bail payment.